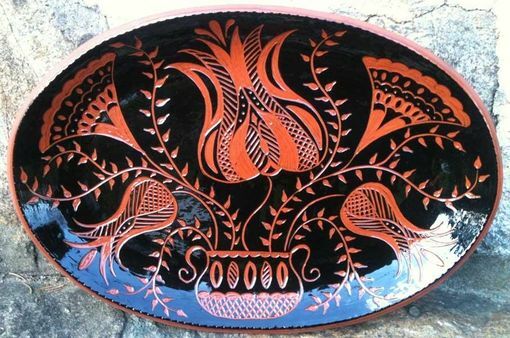 Ceramic Plate, Flowers in Urn with Black Slip. Each piece is one-of-a-kind. Plates will arrive gift boxed. Sizes are approximate and the color may be slightly different than your monitor display. All plates have a very shiny finish.